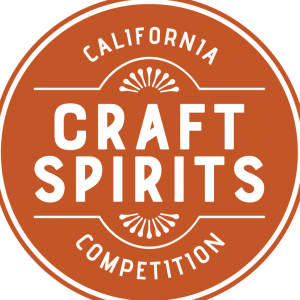 California Craft Spirits Competition Registration Now Open! Home › Latest News › California Craft Spirits Competition Registration Now Open! (Paso Robles, Calif.) – The California Craft Spirits Competition (CCSC), hosted annually by the California Mid-State Fair, is now accepting entries. Distilleries can register at http://cmsfs.fairmanager.com/default.aspx. The CCSC helps promote the craft distillers that are producing the finest quality artisan spirits inside and outside of California. The competition welcomes craft distillers from anywhere in the United States, offering an additional division for craft spirits produced outside of the state. Discounted early-bird registration ends Friday, May 31, with an entry cost of $80 per spirit. Then registration increases to $90 per spirit and closes Friday, June 7. The competition and judging takes place June 19 and 20 in Paso Robles. Distilleries who participate in the competition will be invited to be a part of the Get Crafty Mixologist Competition at the California Mid-State Fair on Sunday, July 21. Mixologists, restaurants and/or bars will partner with a winning spirit from the California Craft Spirits Competition to create a cocktail of his/her choice. Cocktails are featured in a two-hour festival tasting. The competition is from 3:30 to 5pm, and the public, ticketed tasting is from 5- 7pm. Enrollment has also begun for the Home Winemakers Competition, the Central Coast Wine Competition, and the Central Coast Vinegar Competition. Returning Chief Judge Tim McDonald has compiled a prominent team of judges, including industry leaders and international journalists, including Phil Markert, director of liquor for Albertsons/Vons and Traci Dutton, from the Culinary Institute of America. “The California Craft Spirits Competition strives to promote the quality and diversity of craft spirits being produced in the state of California, and nationwide, and educate consumers on the artisan spirits industry that continues to grow.” says California Mid-State Fair CEO Michael Bradley. To enroll in the California Craft Spirits Competition, or for more information on the Central Coast Wine Competition, Home Winemakers Competition, or Central Coast Vinegar Competition, please visit http://cmsfs.fairmanager.com.